Key Sale and Key Ring Bundle! Any wise Captain knows that when a sale this good comes your way, it’s best to take advantage of it. We’re pleased to announce that Ferengi Merchants are putting a 15% sale on Keys from January 23rd at 8am PT to January 31st at 10am PT. Now is the best time for Captains to load up on your Keys and grab those ships you’ve been eyeing. For a limited time only starting today, players will be able to purchase the Key Ring Bundle! This special pack includes 20x Master Keys (used to open any Lock Box) for the price of 2250 Zen. As an additional special promotional offer when purchasing this bundle, every pack also includes a single Ultimate Tech Upgrade. 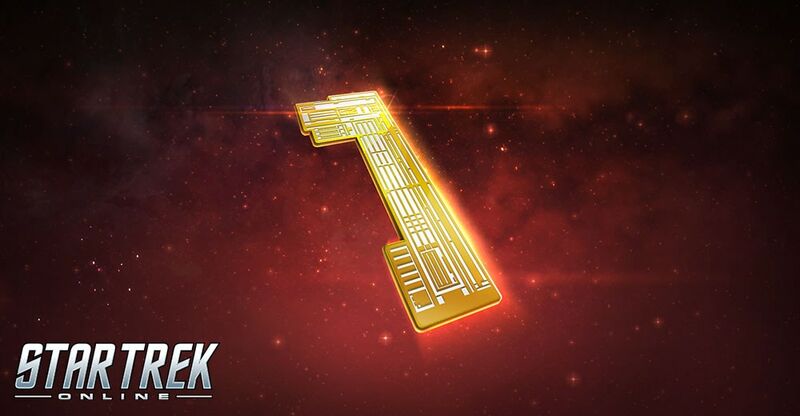 Applying this item to any upgradeable piece of equipment will instantly set both its Mark and Quality to maximum (usually Mk XIV and Epic/Gold quality) with zero Dilithium Cost! This promotional bundle will be available in the C-store from January 23rd at 8am PT to January 31st at 10am PT.